Did you know? The human tongue provides incredible insight into one’s oral and overall health. Specifically, the color of one’s tongue can indicate a number of conditions, from digestive disorders to ulcers and kidney disease. However, while you might be tempted to diagnose yourself, use caution. Only a dental professional can make a proper diagnosis. In the meantime, it’s important to generate some awareness of what your tongue may be telling you. In an easy to read publication, Bright Side discusses the color of one’s tongue, as well as the color of its coating and what this implies. 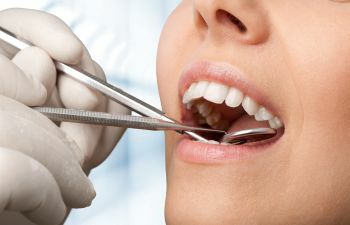 To begin, when looking at the tongue, it’s best to assess it in the morning in natural light, before brushing or eating. Generally, if the color of the tongue is light pink, this is considered a healthy tongue. A darker pink or red tongue may point to infectious disease or inflammation within the body. Bright red is an indicator of heart or blood disease, while a yellow tongue may indicate a stomach or liver condition. Lung disease often causes an individual’s tongue to resemble a purple color. Yet, if the tongue is more of a blue tone, this is associated with kidney disease. Vitamin and nutritional deficiencies may cause a tongue to appear pale. Yet, if the tongue is nearly white, the individual may be dehydrated, or he or she may have a fungal infection or influenza. Finally, a tongue that is gray in color may point to disease of the digestive tract. It’s important to understand—the coating of the tongue might be different than the actual color of it. It’s also important to understand that it’s normal for a tongue to develop a thin white coating. Typically, this coating is brushed off during regular oral care. However, when the coating of the tongue is thick, this is often an indicator of something different. Specifically, a thick coating could mean that a person is intoxicated or that he or she is suffering from an infectious disease. On the other hand, a brown coating is associated with lung disease, while a gray coating is linked to gastritis or a peptic ulcer. Call Kennesaw Mountain Dental Associates Today! Dr. Hamir Contractor, Dr. Suhasini Arun and the team of professionals at Kennesaw Mountain Dental Associates welcome you to our practice, conveniently located off of Old 41 Highway in Kennesaw. When it comes to your oral health, our team places a high value on patient education and the doctor-patient relationship, as we believe that this is the cornerstone to achieving a lifetime of good oral health. Do you have a question regarding your oral health? Is it time to schedule your next dental appointment or checkup? Call Kennesaw Mountain Dental Associates today. What Is a True Dental Emergency?Do You Have A Cavity?